I am a crazy Disney Cruise lady. I love everything about them, especially the food, which is glorious. They serve a lovely tomato bisque that my friend Jill requests frequently. I found a recipe for it online and recreated it, lightening it up a bit. It did not disappoint. 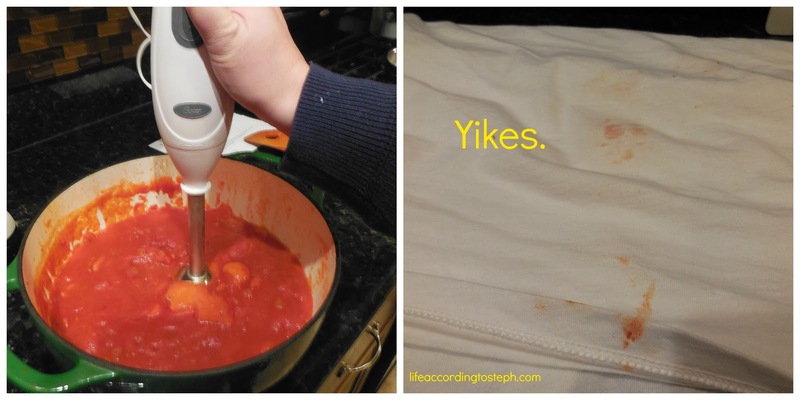 Drain juice from tomatoes into a bowl and set aside. Place tomatoes on a baking sheet with a lip and roast for 25 minutes. Melt butter in a stock pot and saute onion, celery, and carrots until translucent. Add reserved tomato juice and tomato paste. Stir until the paste is broken up. Add tomatoes and cook for 40 minutes, stirring occasionally so nothing sticks to the bottom. I put a lid on it because Sweet Brown ain't got no time to clean up tomato splatter from the entire kitchen. Remove from heat. Using an immersion blender, blend the crap out of it. If don't have an immersion blender, you can use a regular blender and blend in batches. Heat cream and half and half on the stove, stirring so it doesn't stick. Add to the soup, stirring well to mix. Add salt to taste. Top with basil if you choose. If you are doing this, maybe don't wear a white t-shirt or if you do wear white, maybe just don't be a spazz like I am and get it everywhere. Paired with grilled cheese, this was a perfect meal for a snowy and cold Saturday. Tomato soup never was my favorite, but I may try this! As soon as I saw this I thought GRILLED CHEESE... then I read along and there was the grilled cheese. Winning combo. YUM! 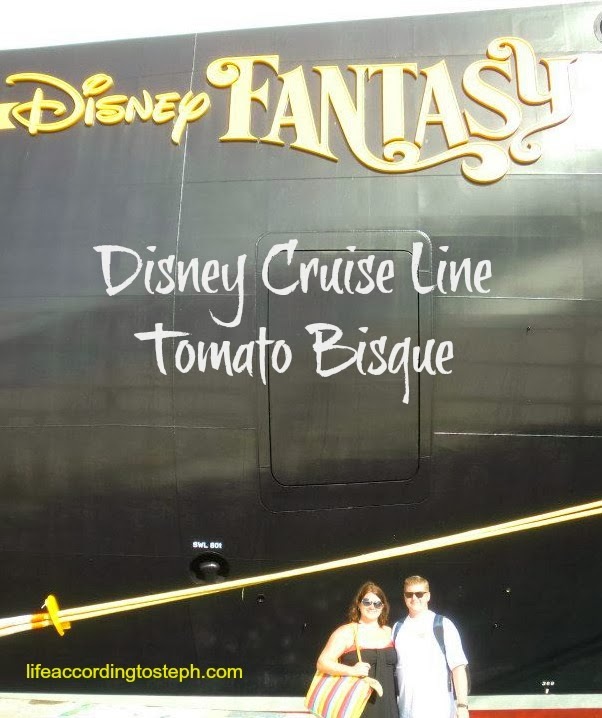 How many Disney cruises have you been on?? 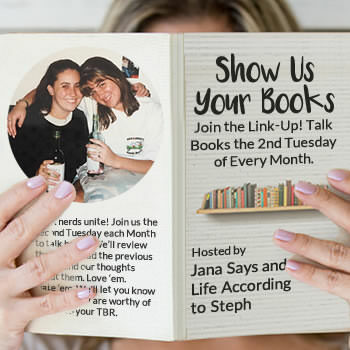 I'd love to do one of those sometime!! I too, thought of grilled cheese. Another soup win for the SMD. Will no doubt be making this soon! Um you totally have to pair this with grilled cheese! I wouldn't have it any other way. I love tomato soup!! so good! 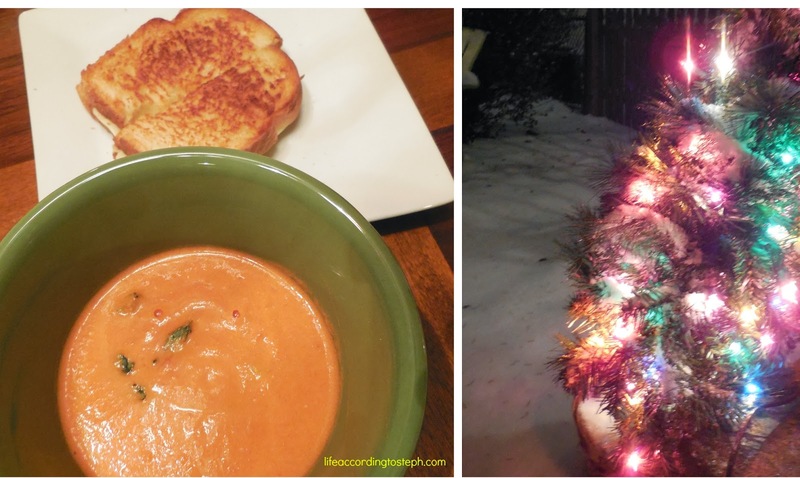 I love tomato soup especially with grilled cheese! Yum! Yum! I just pinned this! I've been on three cruises but not a Disney one yet. Now that they're on the west coast it's totally happening in the next few years. Give me all the tomato soup and maybe I wont steal the elf pugs! 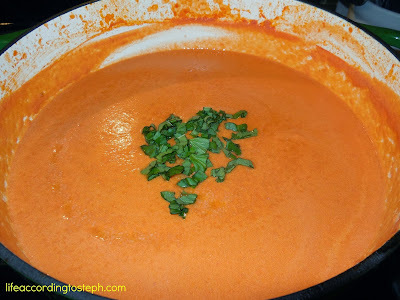 Yumm, I want to make that tomato bisque like NOW! Hot apps! Get your hot apps here!